The skirt fits smoothly over the hips to below the knee, where the lower flounce cascades into a long back train. In the vocabulary of high style costume, the elegant train connotes an almost regal elegance. 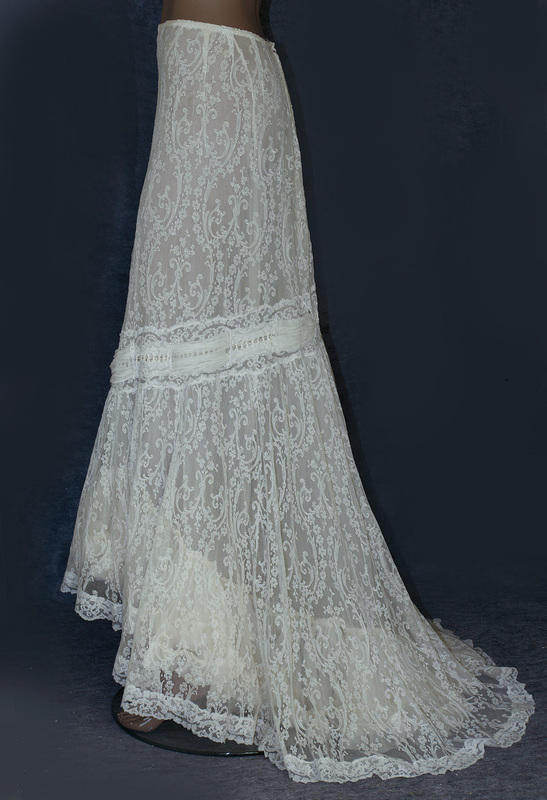 The upper skirt and lower flounce are joined with decorative bands of pleated silk chiffon. 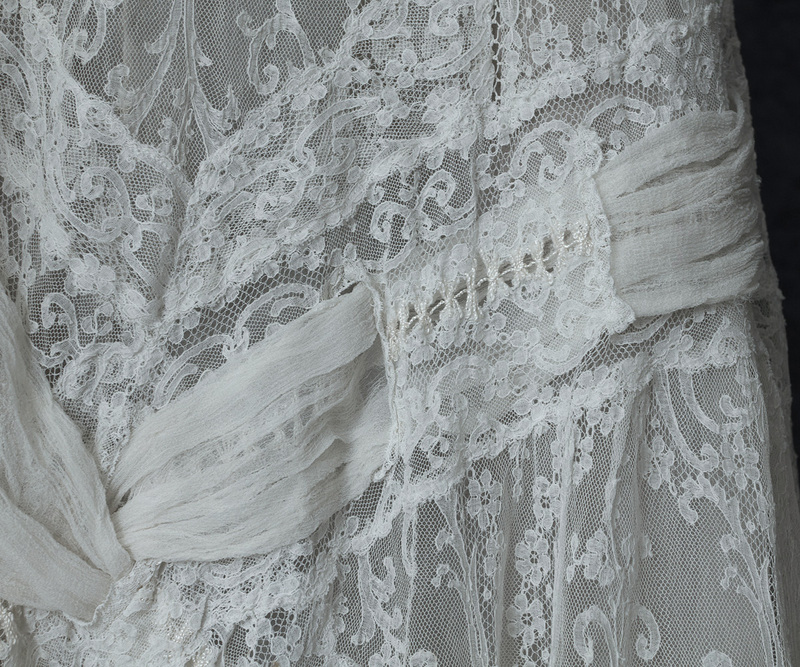 This charming, light, and sheer fabric gave its name to the "cult of chiffon" that personified Edwardian fashion. 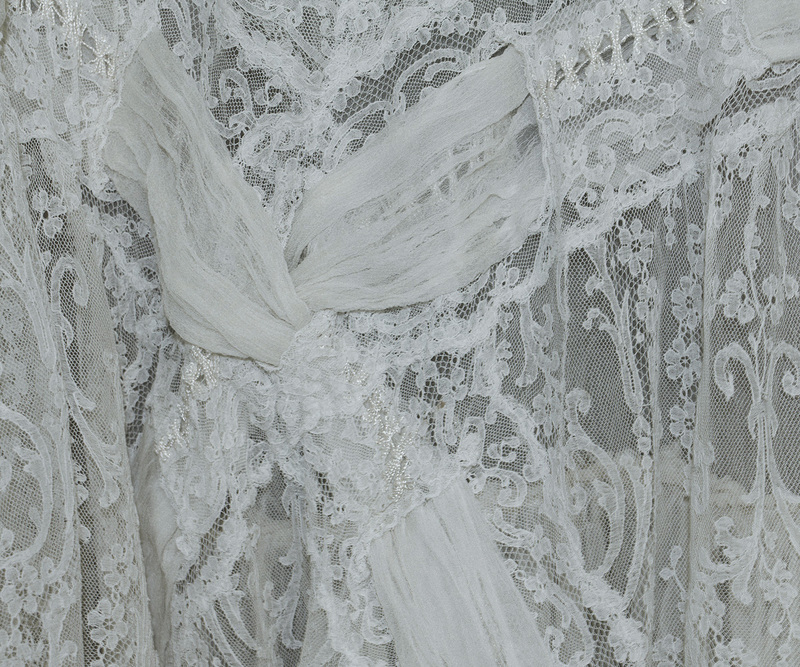 We see chiffon's cultural importance in the title of an important English book—The Cult of Chiffon: an Edwardian Manual of Adornment (1902). It provided authoritative advice on how to cultivate charm and social standing through the subtle art of dress. The skirt has the original attached silk chiffon petticoat, which features double layers of fabric and ruffled hem flounces. The skirt closes in back with hooks. 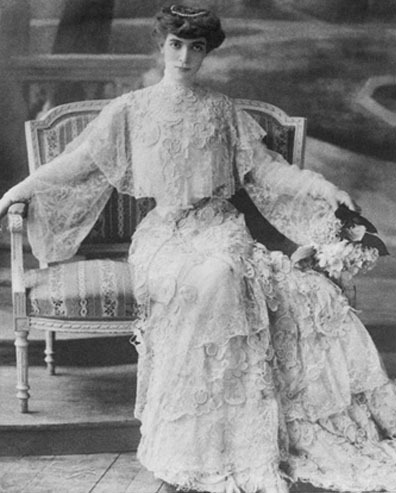 In this historic picture of Marquesa Luisa Casati, we see an elegant lace gown. 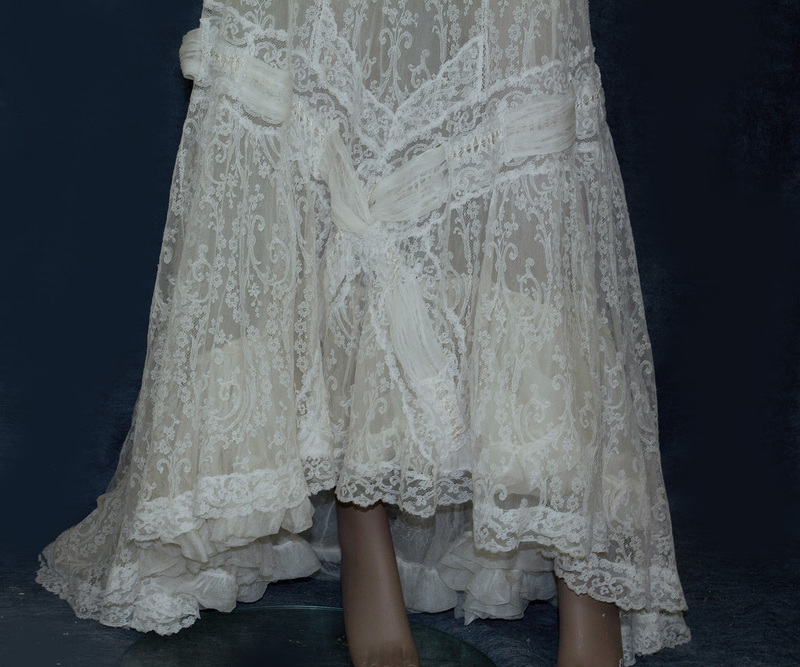 Our skirt and the Marquesa's gown belong to the same family of elaborately decorated Edwardian costume. 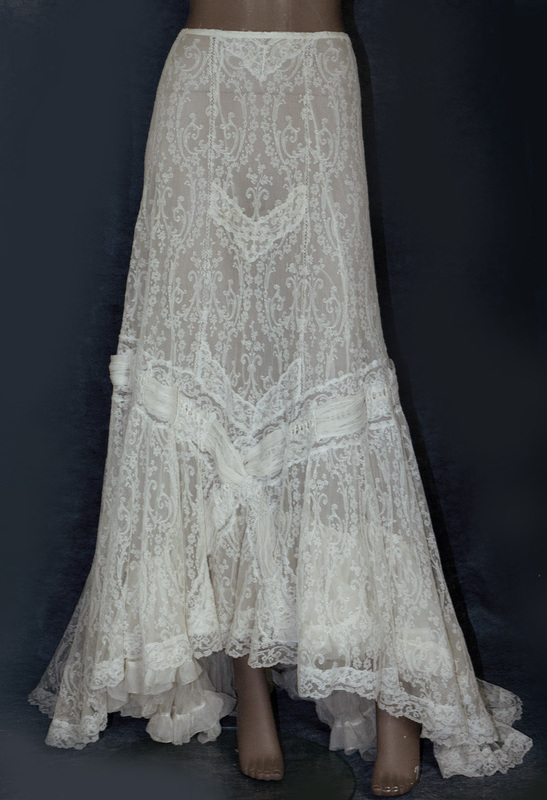 Our fancy, cream colored lace skirt was originally the bottom half of a fine Edwardian gown. Unfortunately the bodice was damaged beyond saving. As a separate skirt, it would be perfect for an informal wedding. The condition is almost excellent. The skirt shows just gentle wear. It is clean and wearable. It measures: 28" waist and 41" center-front length.